This is your chance to make your idea happen - with FIEGE! 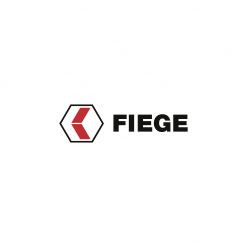 We invite all employees of FIEGE and students to let the exciting possibilities of our times inspire them. Apply as a team or as a lone wolf and allow your innovation to design the future. Challenge accepted? Then apply right here and now to lay the foundations for your business model. The most promising business models will make it to the light pitch. Those who make a case for themselves during the light pitch will have the opportunity to convince the jury comprising the owners of FIEGE and members of the company’s top management, as well as the audience of their idea during the final pitch event. The most convincing business model will win the FIEGE Innovation Challenge. Apply using this questionnaire or your own papers. The most exciting submissions will make it to the light pitch. Those who are longlisted are given 10 minutes to convince the jury in person. Make a case for yourself during the light pitch and secure your spot at the final pitch event. Inspire the audience and the jury during an additional 10-minute pitch to decide the challenge in your favour. After the award ceremony, it’s time to implement the winning idea. Take your idea to the next level in a two-day workshop with internal mentors and external experts.